The French National Railway Company (SNCF) has instituted an important change aimed at improving its position in the face of stiff competition from other European transport companies. 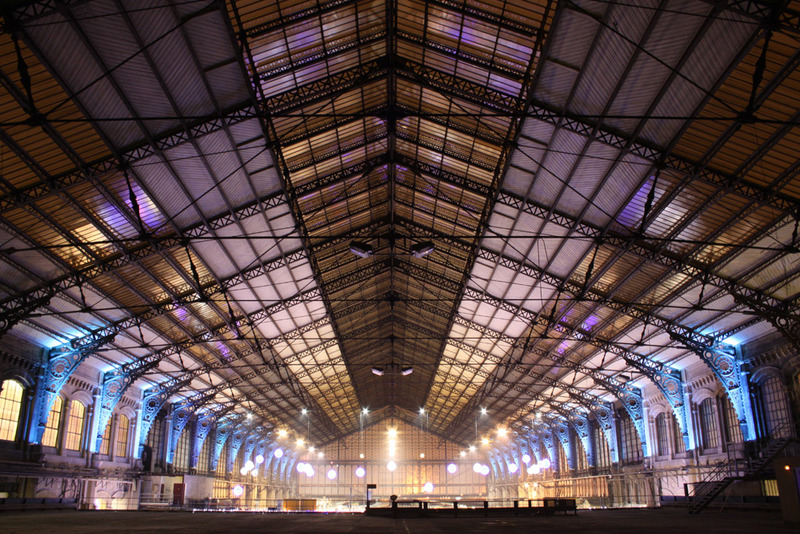 The first element that SNCF has put significant effort into is renovation of its many key railway stations. At the Austerlitz Railway Station in Paris, the process has just begun and will last until 2025. An important part of the new look is illumination of the lattice structure of the main hall in order to visually bring it in step with the 21st century. During initial contact with the Austerlitz managers, the frame of the project was already well developed: to bring animation to the station without disturbing the daily activity or altering the architecture. Starting from this brief, Martin France was able to propose several ideas, including the decision to use the main structure as a support for light and to avoid as much as possible the projection of light onto the roof. François Guillet, CEO of Lumières Utiles, recreated the complete station in Martin’s lighting and set design software, Martin ShowDesigner (MSD), and tested several types of Martin projectors. In order to fine-tune the concept, Martin France set up a working session on site and the Exterior 200 LED™ with its very narrow beam (13°), ample power and excellent color uniformity was chosen as the best option. The Exterior 200 LED is a long-life programmable luminaire offering full RGB + Amber and White color mixing. It can bring up to 1400 lm for 139 W and is available in several angles from 13° to 32°. Martin France then worked with technical partner Equipscène on system integration and with François Guillet on the controller and network aspects. A Martin M-PC™, a PC-based version of the Martin Maxxyz™ and M-Series consoles, linked to a Martin Ether2DMX8™ router with a Martin MaxModule Programmer was used for programming. For day-to-day illumination, a static blue/green color was chosen to bring a soft and calm atmosphere to the station while wave effects were added for five minutes every hour. The installation automatically follows the natural sunset and sunrise thanks to the Maxxyz Manager plugin included with the M-PC.